SHW were instructed on behalf of the landlords of a shop on the High Street in Reigate, to represent their interest in the April 2016 rent review. 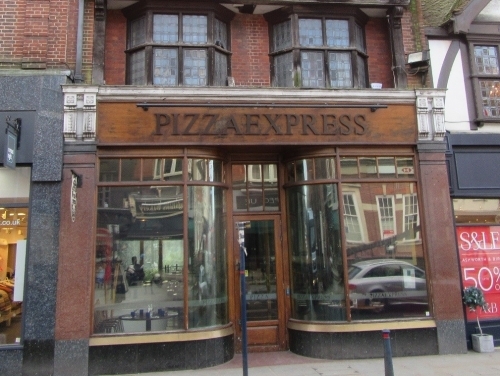 The property is currently occupied by Pizza Express, who are represented by Gerald Eve, and SHW were successful in achieving an annual uplift of circa 28% over the review period. Peter Dosanjh, Senior Partner of Spark Property Assets LLP said:"We engaged SHW to advise us on the forthcoming rent review at one of our properties in High Street, Reigate. From the very beginning to the very fruitful outcome, SHW and in particular Rachel Finn have conducted themselves in a highly professional manner, undertaking negotiations with our clients, demonstrating knowledge about their product and keeping us advised of developments. We have been so impressed that we have instructed SHW to undertake this and other advisory work on the remaining portfolio." Rachel Finn of SHW Professional said: "The retail market in Reigate is strong, particularly the restaurant sector, and we were very pleased with the outcome achieved for our clients at 15 High Street. A number of nationwide chains are keen to secure space within the town, the latest arrival being Wagamama who are due to open their doors at 33 Bell Street in September, despite initial resistance from local authority due to loss of retail space."